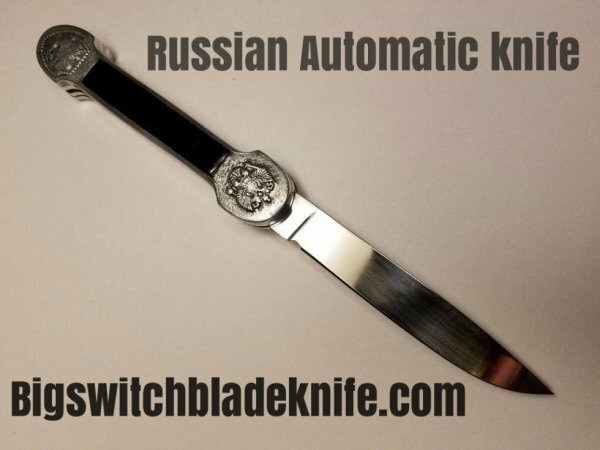 A knifemaker in Russia bought the parts from a defunked company many years ago, made the blades to create a truly unique knife piece. The mechanism is a hidden. 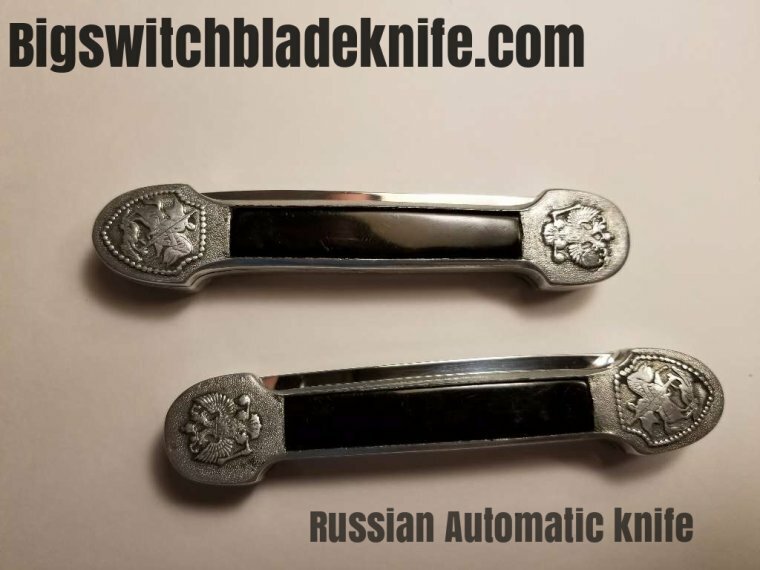 You operate it with the Secret Release, just slightly press the top bolster and the blade fires very fast and strong.This awesome mechanism and unique design will impress you. The top bolster has the Russian double headed eagle coat of arms. The bottom bolster has the dragon slayer, St. George the Patron Saint of Moscow. Limited supply available as few were made. 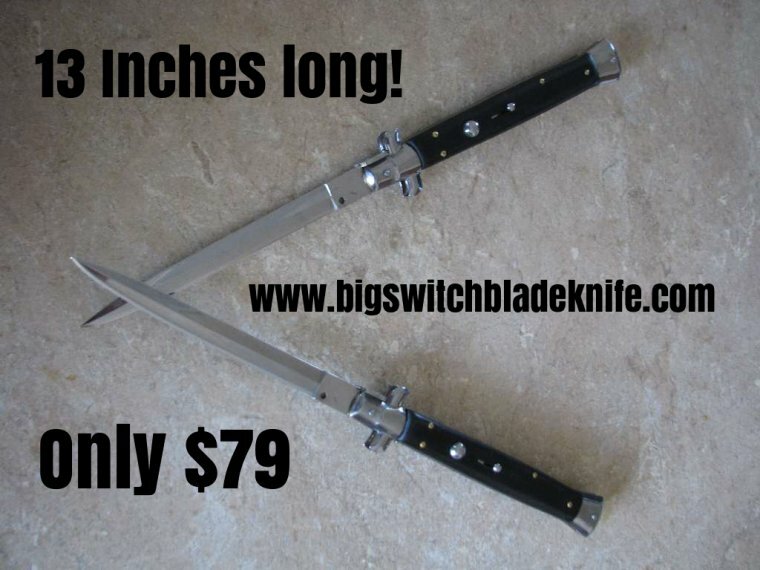 Get the Best deals on 13" Inch classic Italian style Stiletto Switchblades/ Auto knives. 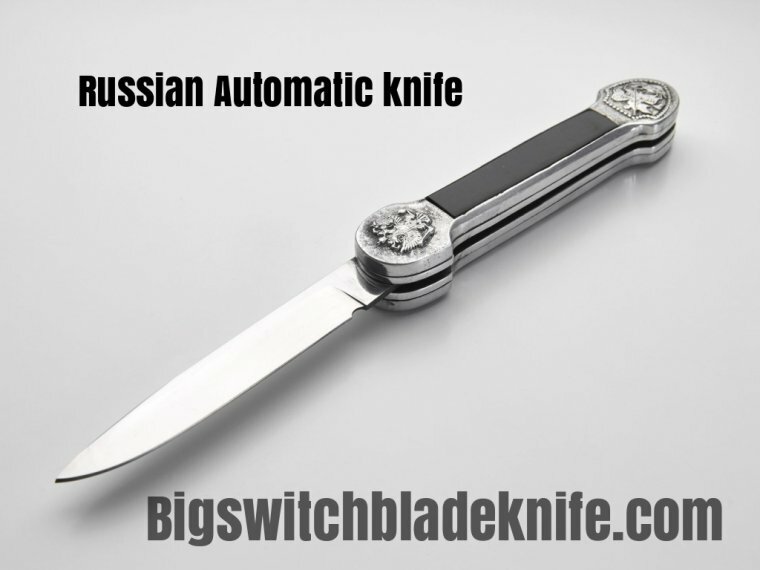 We love switchblade automatic knives. 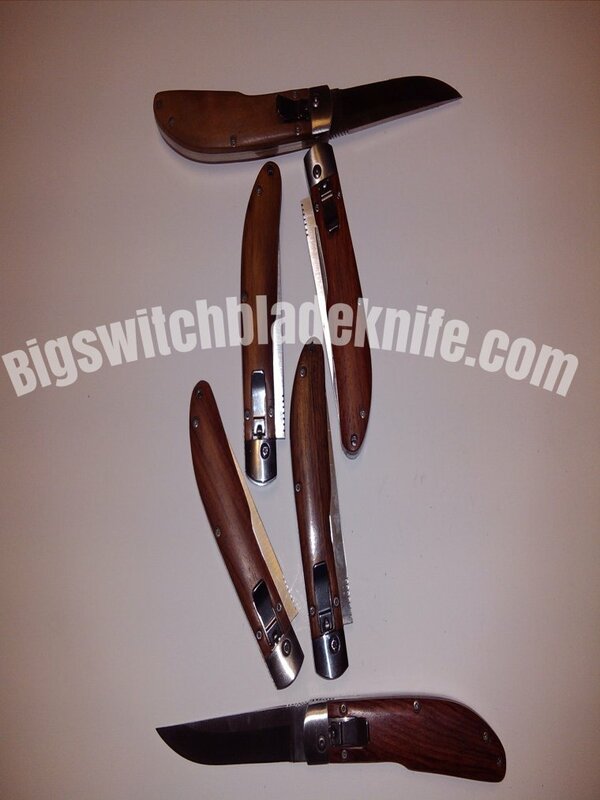 We sell only the Best Quality knives at the lowest prices. Stilettos, Leverlocs, Leverettos, Single action, Double action, Out the front, OTF and more. 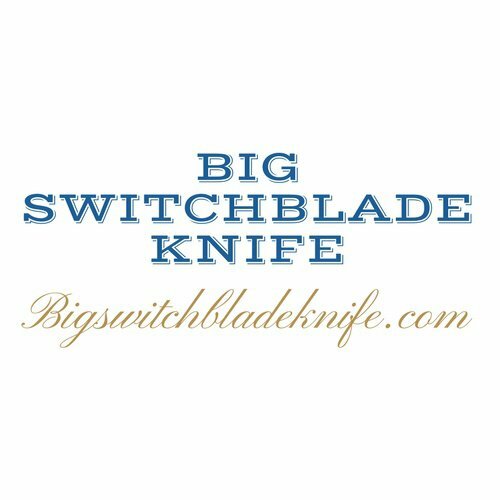 We at bigswitchbladeknife.com have a love for the stiletto and that's why we feature the classic italian style knife with a massive 13 inches in total length for only $79.00 That is half off other sites retail prices! we like to keep our site simple to reduce overhead and pass the savings on to you. 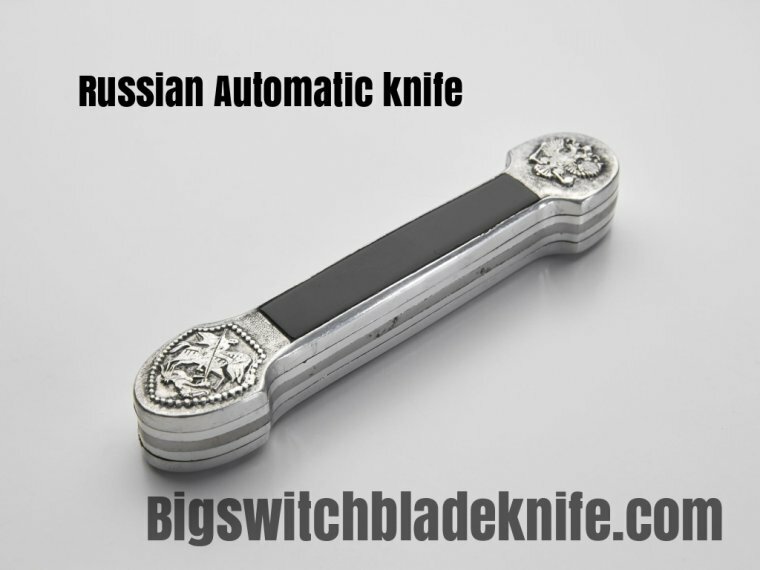 Other sites will list a hundred knives to make their site look bigger only to show the knives out of stock. 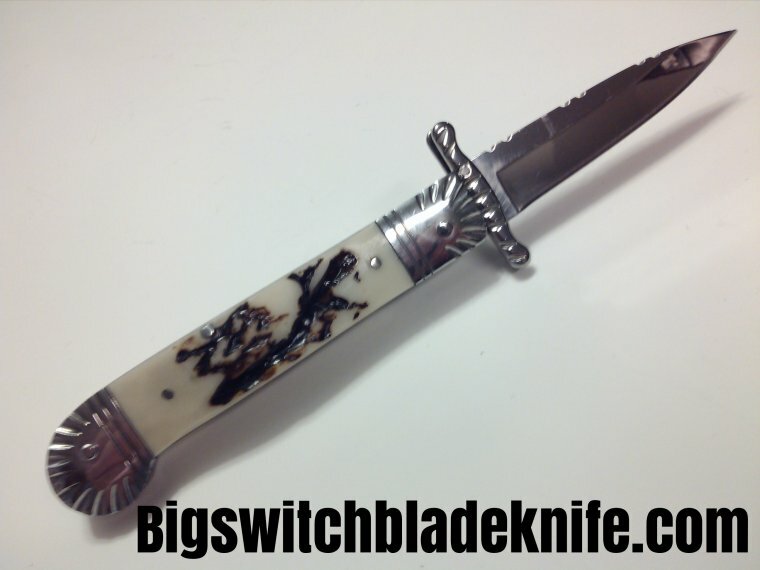 We only list knives that we have in stock and ready ship out. 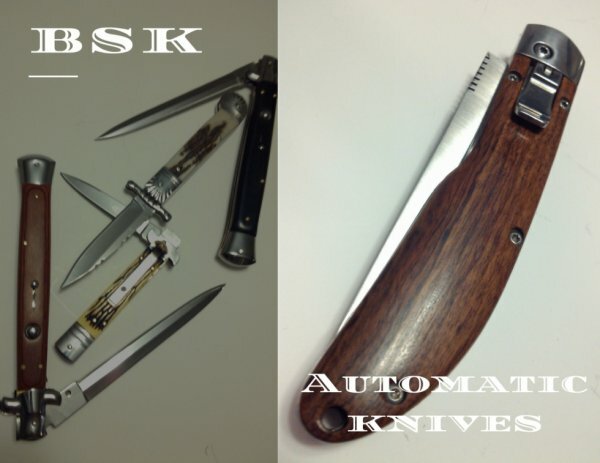 Your online cutlery store for automatic knives.